Believe it or not the colors we surround ourselves with can determine our balance. Ayurveda has believed this to be true for thousands of years and because we are stimulated with so much color on our phones and screens, this can throw off balance. I find it hard to read books because my eyes have completely changed the way I consume information. It's scary! Wear earthy colors. Fall is an important time to reconnect with nature. But as we move towards winter we spend less time outside and more time inside telling stories, traditionally. Incorporating earthy, grounding colors into your surroundings is really important. Spend some time outside foraging for dead branches and mix with sage to burn your fire with warmth and good vibes. Invest in some dusty olive green sweaters or leggings or soft blues and cozy neutrals. Curate your instagram feed with people who shoot warm, outdoor earthy photos and schemes. Minimize wind. If my finance turns the fan on in the room during fall I freak out. I can't handle the excess wind on my face. This sounds so weird to people who are the opposite and need air to not feel anxious but if you run cold and are sensitive to Fall imbalances, nix the fans this time of year. Make sure to keep warm and protect your sensitive ears and eyes from wind. Bring internal heat to the body. You don't need a fancy space heater to warm the body up or run outside to generate heat. Performing 10 sun salutations (5 A, 5 B) will begin to generate heat in the body to calm you. It's quick and easy! Infrared saunas and steaming are a great way to work on the respiratory system in prep for winter. I also love herbal face steams with fall/winter warming elements like cloves, anise, cardamom, juniper and cedar. Focus on warming spices. 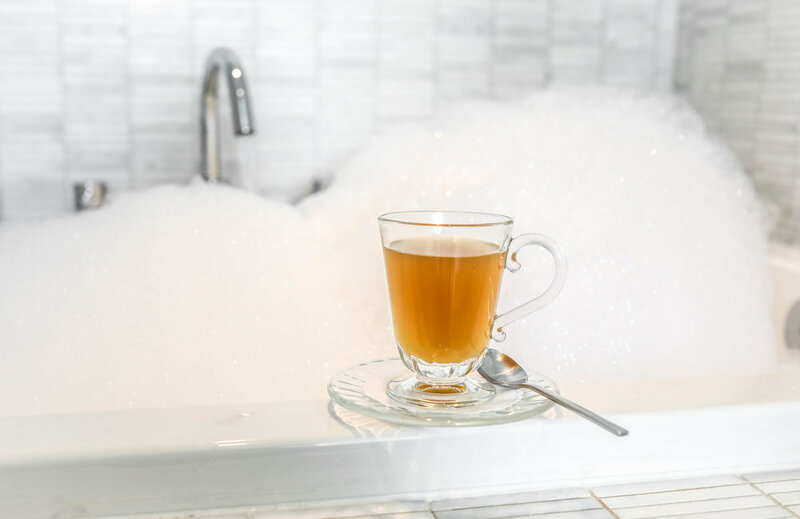 I'm going to leave you with the easiest recipe for hot tea that I've found. It's actually the official spa tea of COMO Hotels and Resorts and I'm obsessed. Scroll to the bottom for the recipe. Golden milk and a nice Bhakti chai are also perfect this time of year. Eat what's in season. 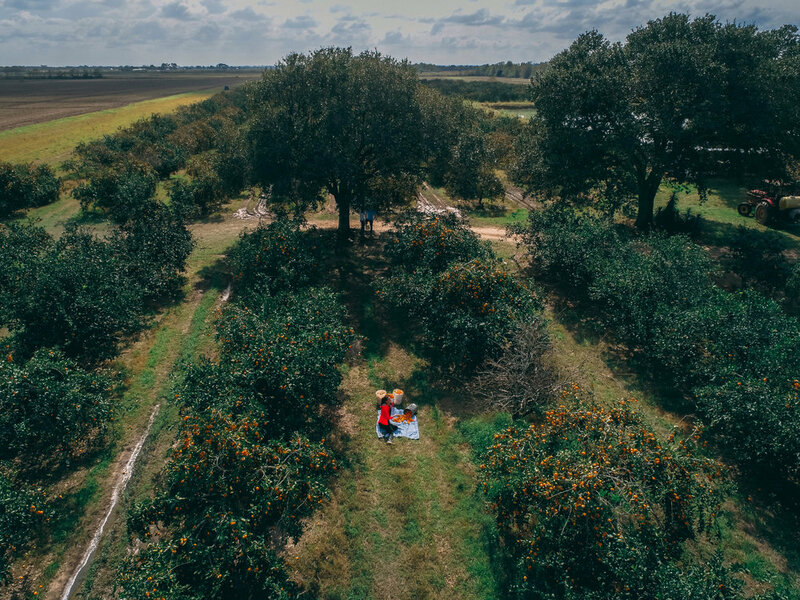 I went Satsuma picking yesterday which was such a great way to reconnect with nature and make that connection between where my food comes from and how it goes in the body. I'll be making recipes with satsumas that incorporate spices to help warm up the astringent citrus. Squash, sweet potato, carrots... there's a reason nature intended us to eat these foods during fall. Listen to the earth, she won't steer you wrong. We all have Vata present in our bodies so everyone is susceptible to imbalances. Swap smoothies for oatmeal. This one is hard for me because I love drinking my breakfast. Oatmeal with cinnamon is an obvious choice for a warming breakfast but if you're dying for a smoothie I recommend my friend Kelly's carrot smoothie. It's a little more spicy and warming. *Just a heads up, this is from their absolutely beautiful book The Pleasures of Eating Well. It's amazing! Wash the ginger and bruise with a pestle and mortar before placing in a large saucepan with 8 cups of water. Bring to boil then reduce heat and simmer for 2 hours (this is key!). Strain. I like to let the mixture cool a little bit and then add the honey and lemon in right away so I can drink it then I store it. You can also store the ginger water, heat it again then add honey and lemon to serve. So. Easy. So. Delicious.